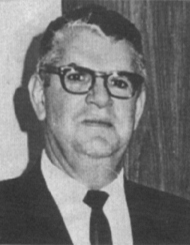 Dan Mitrione, Director of the U.S. AID Office of Public Safety (OPS) in Uruguay and the main American advisor to the Uruguayan police at the time, had been held for ten days by MLN-Tupamaro insurgents demanding the release of some 150 guerrilla prisoners held by the Uruguayan government. Mitrione was found dead the morning of August 10, 1970, killed by the Tupamaros after their demands were not met. “In the aftermath of Dan Mitrione’s death, the Uruguayan government unleashed the illegal death squads to hunt and kill insurgents,” said Clara Aldrighi, professor of history at Uruguay’s Universidad de la República, and author of “El Caso Mitrione” (Montevideo: Ediciones Trilce, 2007). “The U.S. documents are irrefutable proof that the death squads were a policy of the Uruguayan government, and will serve as key evidence in the death squads cases open now in Uruguay’s courts,” Osorio added. "It is a shame that the U.S. documents are writing Uruguayan history. There should be declassification in Uruguay as well,” stated Aldrighi, who collaborated in the production of this briefing book. Uruguay, with a long-standing democratic tradition, entered a crisis during most of the 1960’s and 1970’s. The U.S. government feared the strongest Latin American insurgency at the time, the leftist Movimiento Nacional de Liberación (MLN-Tupamaros) would topple a weak Uruguayan government so they therefore supported the Uruguayan Government with economic and security assistance. The U.S. AID Office of Public Safety helped enhance the counterinsurgency techniques of a Uruguayan police renowned for the wide use of torture among prisoners. Under Dan Mitrione, the OPS consolidated the Uruguayan police’s National Directorate for Information and Intelligence (Dirección Nacional de Información e Inteligencia, DNII). It was right at this time that the Tupamaro insurgents kidnapped Mitrione on July 31, 1970, and demanded the release of 150 Tupamaro prisoners. Dan Mitrione was a policeman from Richmond, Indiana who later became an FBI agent. In the mid 1960’s, he was hired by the U.S. AID Office of Public Safety to train policemen in Brazil and Uruguay. According to A. J. Langguth in his book Hidden Terrors (Pantheon Books, 1978, p. 286) in Uruguay, as the U.S.-trained officers came to occupy key positions in the police, the claims of torture grew. Langguth believed Mitrione taught torture to Uruguayan officers. Mitrione’s activities inspired filmmaker Costa Gavras for his film “State of Siege” which portrays the U.S. support for a dictatorial government and the widespread use of torture by security forces in Uruguay. The nine documents posted today by the National Security Archive contain evidence that the Government of Uruguay unleashed death squads activity in the wake of Mitrione’s execution, and that the United States was aware of these extra-judicial operations. While further declassification is needed to fully comprehend the development of death squad activities in Uruguay, the release of these documents is an important step in advancing international understanding of the Mitrione case and this chapter of U.S. and Uruguayan history. Note: U.S. government documents bear a Zulu (z) or Greenwich standard time. For clarity as to how events evolved, we have included here Uruguayan (UR) and (US) times also. On August 1st the MLN-Tupamaros issue a communiqué requesting the liberation of detained Tupamaros which at the time amounted to 150 prisoners. The communiqué reports on the health situation of Mitrione who had a wound on his upper abdomen. In the morning of August 7, Tupamaros kidnap American agricultural advisor Claude Fly. Later in the day, police forces capture Tupamaro founder and leader Raul Sendic along with other eight high-ranking Tupamaros. On August 8, the Tupamaros announce that their demand for the release of insurgent prisoners has not been met and that they will kill Dan Mitrione at noon on Sunday, August 9. Note: This document was found by Clara Aldrighi who was granted access to the DNII archives in Montevideo along with a group of researchers in 2005. On Saturday, August 8, U.S. Ambassador Charles Adair, along with Embassy officials and Uruguayan Foreign Minister Peirano and his staff, meet in Montevideo for half an hour at around 19:00 hours. The day before, nine top MLN-Tupamaro leaders had been captured by the police and the Tupamaros announced that they would kill Mitrione at noon on Sunday if their request for the release of all MLN members in prisons is not met. A. Appeal publicly to those few who are holding Mitrione for safe delivery Mitrione. Offer them amnesty or amnesty plus an award (5 million pesos). C. Repeat (and repeat) offer of reward for information. Peirano dismisses public calls for a reward for information and favors communication with the insurgents through discreet channels. Adair reports that Peirano “wanted to suggest to me that the US government (Repeat, US government) itself undertake secret ransom effort directly with MLN.” Adair rejects the idea and Peirano accepts it. Note: Brazilian Consul Dias Gomide and American agricultural advisor Claude Fly were eventually released unharmed after months of being captive. Nine days after Dan Mitrione’s kidnapping, the Uruguayan security forces still had no information of his whereabouts. They did, however, capture Raúl Sendic, MLN leader/founder, and several other important MLN leaders on August 7. The cable bears the Exclusive Distribution caption EXDIS, meaning that the information in this message is highly classified and should be shared only with the recipient (Adair), the Secretary of State and the White House. Note: Raul Sendic escaped from prison in 1971, was recaptured by police in 1972 and remained in prison until the military dictatorship ended in 1985. Right at the time of the noon deadline, Ambassador Adair reports in this cable about a meeting he held at 11 am with the Uruguayan Foreign Minister to discuss the situation. Adair reports that he spoke to Foreign Minister Peirano who had just “returned from President Pacheco’s office. I told him that at this last moment, we were receiving number of telephone calls and (as a backdoor method of bringing up subject of possible U.S. contribution to Uruguayan Government efforts) I told him one had been from Uruguayan vigorously complaining that money offered by Uruguayan Government was not sufficient.” Adair states that the Uruguayan government now is clear that money should not be an issue and implies that the U.S. is ready to provide whatever is necessary. He then goes on to describe ongoing secret meetings with undisclosed contacts. This cable represents the earliest recorded recognition of the existence of Uruguayan death squads by the U.S. government, and evidence of Washington’s knowledge of their use. Note: This document was found by National Security Archive Southern Cone FOIA Project intern George Leyh. Written originally in 1981, the report was later revised to include additional declassified records documenting the policies and actions of the U.S., the Uruguayan government and the Tupamaros during the 11 days of Mitrione’s kidnapping.